I was in the middle of the Tribeca film festival when I received an email from a publicist about a film World Premiering at IFF Boston, would I want to take a look? My response to everyone sending me anything during Tribeca was either a flat out no, or if it was for something a reasonable time after the festival I told them to check back after Tribeca. But in this case there was something about it that made me say yes. Call me a sucker, or call me someone who is a id at heart, but I had to see NORTH POLE, NY despite being crushed with other work and I am really glad a did. NORTH POLE ,NY is a small little film from Ali Cotterill who did UNITED IN ANGER: A HISTORY OF ACT UP. 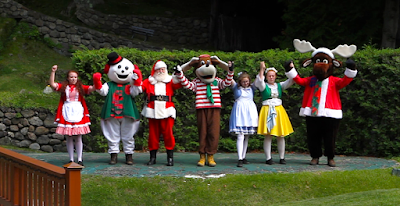 It’s a loving portrait of the small amusement park in upstate New York devoted entirely to Christmas. Once a thriving attraction time and the interstates have whittled away at the crowds. It survives because of the love of the community and a sense of nostalgia that makes families return generation after generation. What can I say, I sat in my seat with a huge smile on my face absolutely delighted at what I was seeing. This is a nigh perfect love letter to a place that was built not only as a means of making money but also as a means of making people happy. While it’s fortunes have been up and down, the desire to make people happy is what keeps it going even in the lean years. I absolutely love this delightful confection. If I might be so bold I would love to see similar films on other attractions. 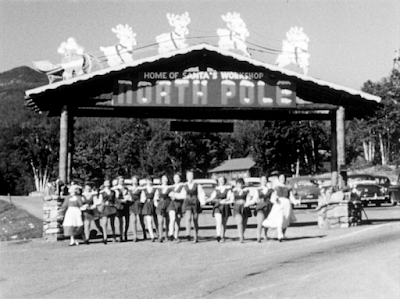 My desire comes from NORTH POLE,NY’s discussion of how it was a part of a larger group of similar attractions in the area. I really would love to know more about the others now long gone. I’m not sure that will happen, so I’m perfectly content to just watch NORTH POLE, NY again (and again). Do yourself a favor and watch this this little gem when it hits VOD, iTunes and DVD on November 28th because it will make you feel good like the warm memory of your best Christmas ever.